Echoes of an Angel is the story of Ben Underwood, a young man who lost his eyesight due to retinal cancer and then learned to find his way around in the world using human echolocation. (Echolocation is sending out sound (clicking) and listening to the echo to find objects) Due to echolocation, Ben could ride a bike, roller blade, and get himself around without the aid of a cane, among many other amazing feats. He became world famous and made appearances on The Oprah Winfrey Show, the Today Show, and was invited to speak around the world. Ben was also remarkable for his positive attitude and faith in Christ. Just as remarkable in my opinion is story of his mother, Aquanetta Gordon and her journey in raising her “handicapped” son. The Lord spoke three things to Aquanetta on the morning three-year-old Ben underwent surgery to have his second eye removed due to retinal cancer, rendering him completely blind. Aquanetta’s story demonstrates how these words played out in her life. Ben did live through the surgery. Despite total, irreversible blindness, the degree to which he was able to see, both spiritually and physically, was amazing. And she felt that the gift that was Ben was not for her benefit, but to all of those who knew him, and to the glory of God. I was interested in this book because I also have raised children with special needs. Aquanetta’s goal for Ben was to raise him to be as independent as possible. She didn’t want him to be handicapped by his condition. She expected just as much from him as from her other children. And while she gladly worked with his therapists, teachers, and schools, she also let them know when they overstepped their bounds. She was a very good advocate for Ben. This book provides an unblinking look at Aquanetta’s troubled past, as well as the difficulties of dealing with retinal cancer and the blindness that followed. Aquanetta tells us about her tears, her fears, and frustrations; but also about the ways that God worked in her life and Ben’s life. God used many people to encourage her, Ben being one of the biggest encouragers. ***(I received a free copy of this book from Tyndale Momentum in exchange for my review). President Barack Obama, Normandy, France. June 6, 2014. I woke up this morning to these words at about 5:00 a.m. Instead of their normal morning news, Fox 17 in Grand Rapids chose to broadcast the President’s speech in Normandy, France, this morning at the 70th anniversary of D-day. A good choice in my opinion. He called them liberators. 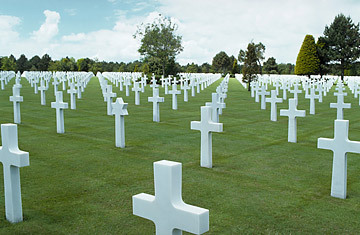 They gave everything so that we could be free.